Haylijah fans got a sweet little moment between their favorite couple on The Originals Season 3 Episode 2, while Hayley was finally reunited with her baby girl. What does that mean for Klaus now that Hayley's no longer trapped in her werewolf form? The answer to that is coming, we're sure. Right now we're here to break down the best moments from the season's second installment. Join Paul Dailly, Miranda Wicker and Ruthie Heard from The Originals Online and jump in with your answers below! What was your favorite moment from "You Hung The Moon?" 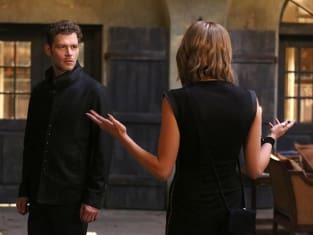 Paul: Hayley and Klaus going at it. That was perfection. More please. Ruthie: Yes, the Hayley and Klaus fight was epic and heartbreaking. Seeing the look on Klaus' face when he saw Hope standing there watching and his reaction to obviously realizing what he has taken away from Hayley during the months she was cursed. I've watched that scene 3 times and cried every time. Amazing performances by all. Miranda: For something different (because yes, that scene was fantastic) I'll go with the beginnings of a flirtation between Cami and Detective Kinney. As much as I want to see her with Klaus, I really like this guy who is human who is all "I'm here to protect you." Plus it's Jason Dohring. Protect away. 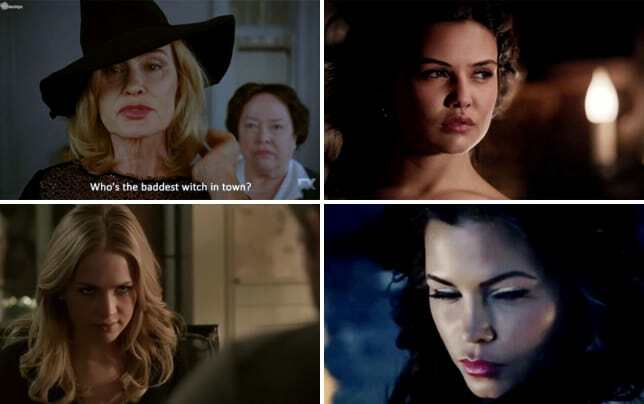 How will Davina handle the covens now that Kara's son suspects her? Paul: Davina isn't going to survive the season. She's going to have to manage it in a more open way, rather than being so secretive about everything. She'll be under a microscope. Ruthie: I think Davina is way over her head, and was a little disappointed in her actions. I have really loved her character up until this point, and now she's starting to annoy me! Miranda: Guys, I'm pretty scared for Davina. I'm not sure she knows what Vincent has gotten her into and I just don't see this ending well. I think she's going to seriously anger the entire witch collective in New Orleans and have to turn to the vampires for protection, which I don't especially love. More touching moment: Hayley and Hope or Hayley and Elijah? Ruthie: Definitely Hayley and Hope's reunion as I mentioned before. So heartbreaking. Miranda: This is an absolute 50/50 split for me. The mom in me absolutely broke when Hayley saw that Hope was walking and realized she missed her daughter's first steps and then my heart broke again when Elijah told her he'd never forgotten her. Ugh. So good. What was in the vial Lucien used to heal himself? Paul: I have no idea. This dude is a bag of tricks, so we'll have no idea for quite some time. He's almost as resourceful as Klaus. Ruthie: Something new! Possibly a synthetic version of Klaus' blood? Heck if I know! Miranda: Someone in the comments this week suggested that one of the vials contained a liquidized version of the white oak stake, which is an interesting theory, but it doesn't explain how Lucien used it to heal himself. I'm super curious about this guy and don't trust him at all. Why does Tristan want to keep Aurora away from Lucien and New Orleans? Paul: It has to have something to do with Klaus' visions of the future. Could Aurora be the one that can kill the sire line? Ruthie: I think it's the fact she is super cray cray and he's trying to protect her from being killed in this war that is brewing or maybe keep her from killing someone. Elijah maybe? Since Elijah was Tristan's sire. And I think it's pretty safe to say she and Klaus have a romantic connection. I'm seeing a love triangle between her, Klaus, and Lucien. All I know is that when she DOES come to New Orleans, all hell will break loose. Miranda: I dislike the fact that Aurora is being painted as this crazy-can't-control-herself woman, so I'm really hoping what we see is that the GUYS think she's insane and she's really the most rational one of them all but she's been kept locked away "for her own good." I think Tristan and Lucien are at war and Aurora is caught between them. The Originals Season 3 Episode 2 airs Thursday night at 9 on The CW! 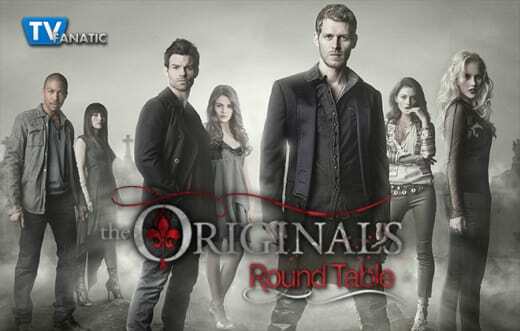 Don't forget you can get your Mikaelson fix right here when you watch The Originals online!